For a nothing less than incredibly stylish ensemble, pair a Maison Margiela classic casual shirt from farfetch.com with grey dress pants. White leather low top sneakers will deliver more playfulness to your ensemble. 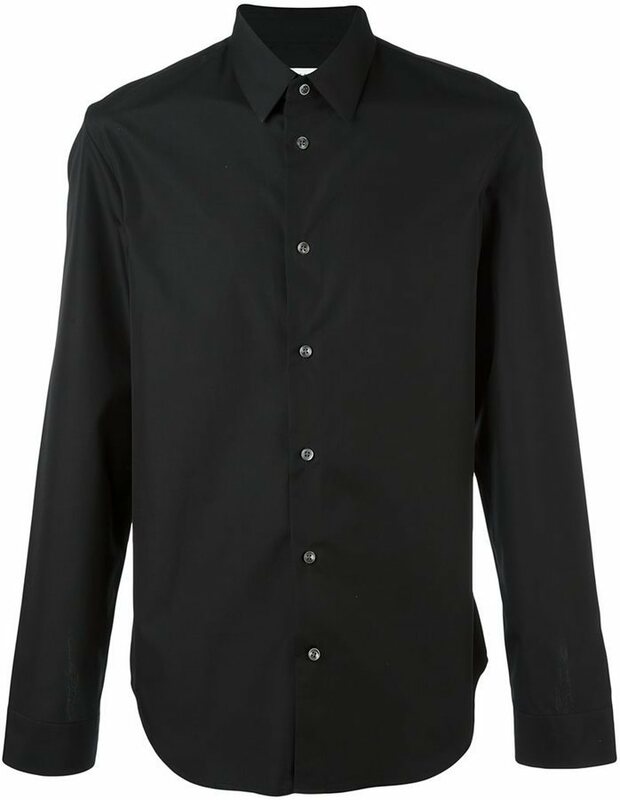 For a nothing less than incredibly stylish look, go for a Maison Margiela classic casual shirt from farfetch.com and black dress pants. Make black leather tassel loafers your footwear choice to make the ensemble current. 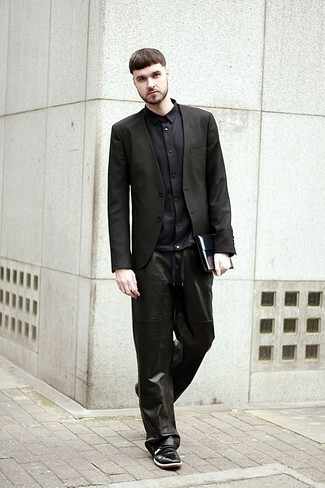 For a nothing less than incredibly stylish look, pair a Maison Margiela classic casual shirt with black dress pants. If you're on the hunt for a casual yet seriously stylish outfit, pair a Maison Margiela classic casual shirt with black leather sweatpants. Both garments are totally comfortable and will look great together. 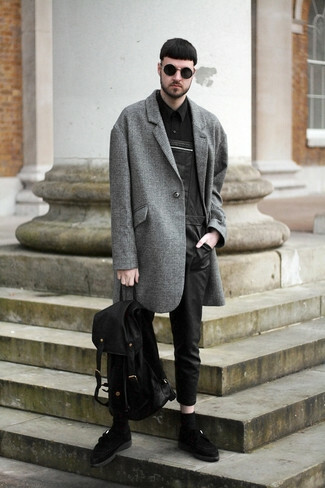 Up the cool of your getup by finishing off with black leather double monks. For a nothing less than incredibly stylish outfit, consider teaming a Maison Margiela classic casual shirt from farfetch.com with a grey suit. 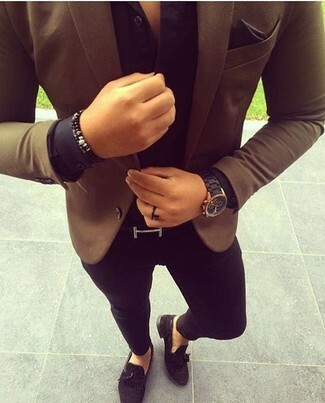 Add a more relaxed feel to your look with black leather tassel loafers. If you're looking for a casual yet stylish ensemble, rock a black dress shirt with black overalls. Both items are totally comfortable and will look great together. Why not introduce black suede double monks to the equation for an added touch of style? 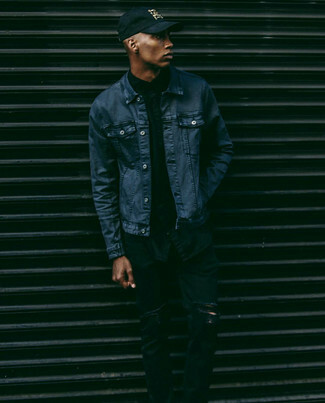 If you're on the lookout for a casual yet dapper outfit, consider pairing a Maison Margiela classic casual shirt from farfetch.com with black skinny jeans. Both items are totally comfortable and will look great paired together. 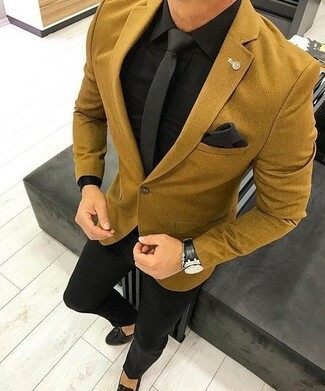 You could perhaps get a little creative when it comes to footwear and lift up your look with black suede tassel loafers. If you're hunting for a casual yet stylish outfit, choose a Maison Margiela classic casual shirt and black ripped skinny jeans. Both garments are totally comfortable and will look great together. 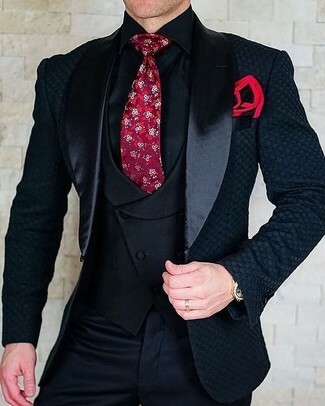 Try teaming a black dress shirt with a black suit for a sharp, fashionable look.